And so in the church today we do just that. In the baptism service we make promises about turning away from an old way of life and turning to a new life, trying to follow the teachings of Jesus. Obviously young children are not able to make the promises themselves and so the parents and godparents make them on their behalf. Within the Anglican Church we also have confirmation; this is a service where an individual takes on promises either made over them or that they made themselves earlier in life and confirms these promises for themselves. This service is conducted by a Bishop who lays hands on the head of each candidate and prays for them to receive the Holy Spirit. We normally have one of these services locally each year. Please contact us if you would like to find out more. We also welcome those being baptised into the church, not just the local church but the church of Christ as a whole. For this reason we do our baptisms during one of our main Sunday morning services so that representatives of the local church are there to welcome you and/or your child. Q. Can I be/have my child baptised in one of the 5 Parishes? A. Baptisms usually take place in your local church or a church you have a strong link with. If this is so then it should all be quite simple; look below for details of preparation etc. Q. I don’t live within the 5 Parishes, can I be or have my child baptised in one of the churches? A. Normally we would encourage you to contact your local church and speak to them. If you have a specific reason for wanting a baptism in one of our churches then do get in touch to discuss your ideas. If we are able to offer baptism in one of our churches, we will still encourage you to make contact with your local church and let them know. Q. When do baptisms within the 5 Parishes take place? A. Part of baptism is about welcoming those who are being baptised (whether child or adult) into the local worshiping community of the church (this is why we encourage going to the church you live near). In order to be able to do this we hold our baptisms within our normal Sunday Service pattern and for children, during our most family friendly services as these are the most appropriate services to be welcoming children into. A. Is there anything we need to do before we can have a baptism? Q. We like to meet with you a few times before the baptism partly because it is good to have spent some time getting to know you and partly so that we can explore together the meaning of baptism. This session looks at what happens during the service and the significance behind each aspect. Having looked at the service, this is a chance to explore a bit more of what it is we are baptising you or your child into, what Christians believe. Our hope is that the baptism is not just a standalone event, as mentioned above in the service there are promises about trying to live a Christian life; there is also a welcome into the family of the church. This last session thinks through some of the ways we can go forward from the service. Q. Is there more information available? A. 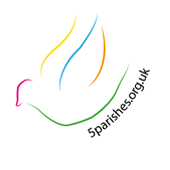 Yes the Church of England has produced a website about baptism which may have more useful information on it, you can find it here. A. If, having read through the information above, you want to look at the possibility of having a baptism in one of the 5 Parishes the next stage is to get in touch. You can contact Simon through the contact page here.